Next up is Leap Academy forward Brazil Harvey-Carr. The Rhode Island commit is posting a stellar stat line of 34 points, 18 rebounds and 7 steals and 6 assists per game. - By Christian Mordi / @thedribbledrop on Instagram and Twitter. Below is an article within our feature series titled, "The Floor General." During the series we will link with countless point guards to pick their brains and see what makes today's point guard tick. Next up is Pope John point guard Kenna Squier. The NJIT commit is averaging 23 points, 13 rebounds, 6 assists, and 8 steals per game. - by Christian Mordi @thedribbledrop on Instagram and Twitter. Thank you basketball gods for allowing Emma to find joy in her first day on the floor.I guess Emma must’ve really loved the game, as Duerr has emerged as one of the best frontcourt players in the state. Emma is a strong rebounder and versatile offensive player. She has a wide array of moves down low and can consistently hit the mid range shot. Emma has emerged a matchup nightmare against many teams. 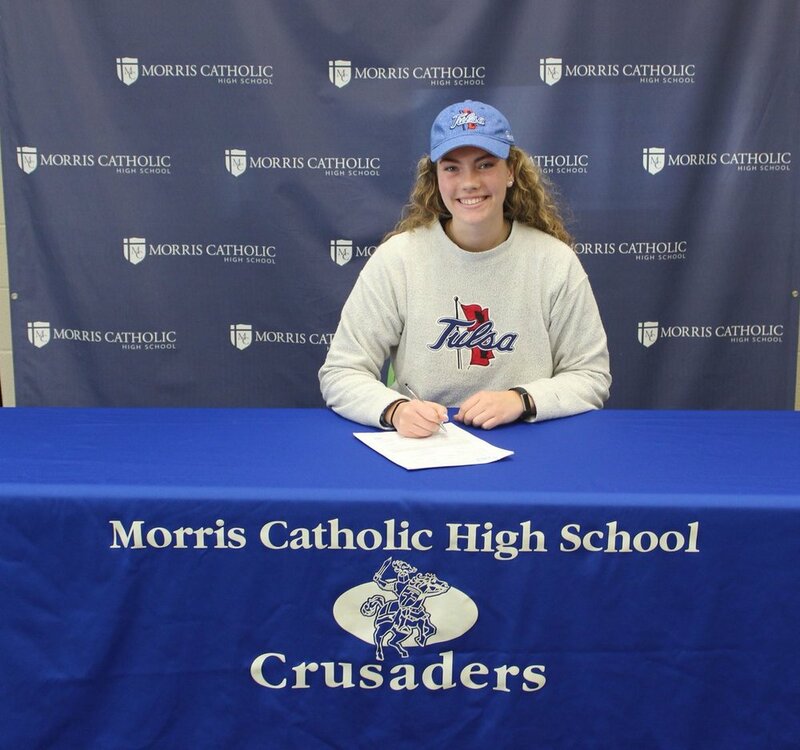 Recently we sat down with Emma to talk about her experience at Morris Catholic, new head coach Billy Lovett, her commitment to Tulsa and more. - By Christian Mordi @thedribbledrop on Instagram and Twitter. Below is an article within our feature series titled, "The Floor General." During the series we will link with countless point guards to pick their brains and see what makes today's point guard tick. 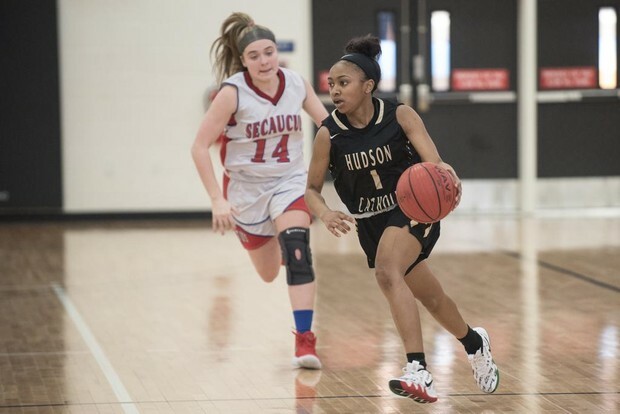 Next up is Hudson Catholic guard Zanai “The Quiet Storm,” Jones. --By Christian Mordi @thedribbledrop on Instagram and Twitter. There is much to be excited about this time of year, and possibly no player has more to be amped up about than Sajada Bonner. The sensational shooting guard made 3rd team All-State in 2017. St. John Vianney made an incredible tournament run, but fell short in the Shore Championship to Manasquan and in the state tournament sectional final against St. Rose. Thedribbledrop & NJHoopRecruit are honored to introduce Sajada as one of our diarists for the 2018-2019 season. Check back throughout the season as Bonner gives us an insider look at the life of a star student athlete playing basketball on the highest level in New Jersey. Hello everyone! My name is Sajada Bonner and I am a guard for St. John Vianney. I will be checking in with you guys twice a month to share my journey throughout my senior season! My freshman year I played for Colts Neck. We were a pretty good team that year as we were top 10 in the shore that year. I enjoyed my experience a lot but I wanted to take my game to the next level. I put in a lot of time that spring and summer on my craft. I ended up transferring to Manasquan High as well. 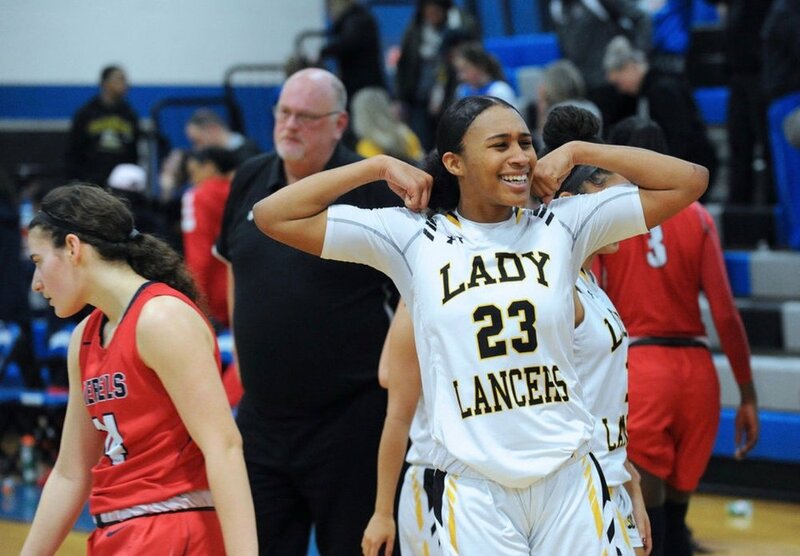 Team analysis: St. John Vianney is one of the dynasties in girls basketball in the state of New Jersey. This team has seen great success over the years and that trend will continue this year. The Lady Lancers boast four seniors (Karpell, Bonner, Henderson and Bellamy) who have committed to play Division One basketball. It could be argued that they play the best defense in the state. They run a wide array of presses at a high level that strangle opposing offenses. The team is led by floor general Sarah Karpell. The Fordham commit sets the tone for this team on both sides of the floor. Quinnipiac commit Sajada Bonner may be the best two way shooting guard in the state. She’s an elite shooter that can hit hot quick. Brelynn Bellamy is one of the most underrated players in the state. She’s a solid rebounder, can defend multiple positions and can knock down the three. Rahmena Henderson is an an x-factor. Henderson is a scrappy defender who lives at the rim offensively. If that wasn’t enough, Vianney has added one of the best freshman in the state to their roster in Madison St. Rose. SJV can play any style needed to win. They have a starting five loaded with talent and experience. The have one of the best coaches in the state in Dawn Karpell. This team has the talent to go all the way. 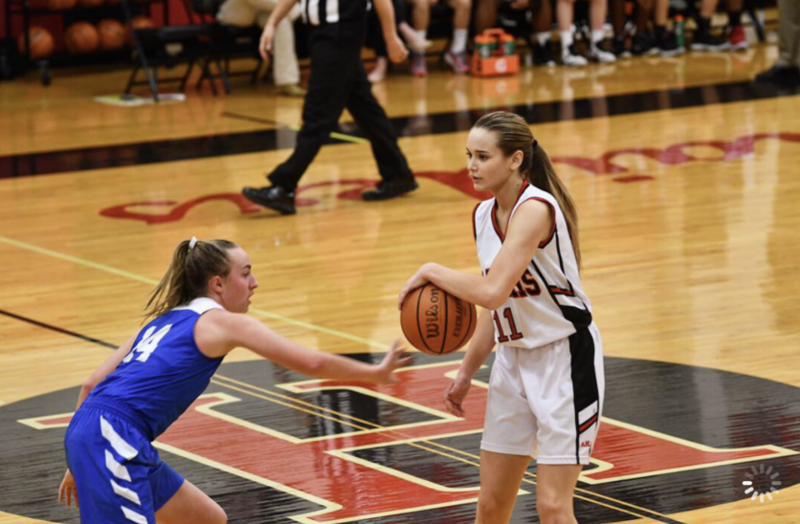 Stat to know: The Lady Lancers boast four seniors who have committed to play at Division One programs. Team analysis: Franklin has been to back-to-back Championship games and will look to keep the streak going again this year. While the roster has lost Camille Gray to LIU Brooklyn via graduation, Franklin returns four starters from last years T.O.C. runner up. One big reason Franklin has been a dominant force in Group 4 is All-State guard Diamond Miller. The Maryland Bound wing is one of the best, if the not the best, scorers in the state and nation. Diamond has a Kevin Durant-like bounce to her game. The Schenck twins are a key pieces to the success of Franklin. They set the tone defensively for their run and jump style of play. Both are a blur in transition and attack the rim with reckless abandon. Franklin is very well coached and always finds a way to play their best basketball down the stretch. It’s going to be very hard to stop Miller, especially with the strong supporting cast around her. If this team rebounds the ball well, they have the talent to win Group 4 again and make a T.O.C. title run. Stat to know: Franklin won its first ever Somerset County title in 2018.